Writing about MANTO’s life, his relation with Hindi cinema and his phenomenal repertoire of short stories, essays, letters and revealing character sketches, I gradually realized that many of the youngsters connected through social networks are not even aware of the incomparable master of his craft and were not being introduced to the writer in any great manner too by the media or the elders giving just a few lines description in a short FB post or a tweet. However, the article is not enough, as a lot still remains to be said, praising the exceptionally bold and unique narrative of MANTO - daringly revealing the bitter truths of our society and the dark, hidden psyche of both men and women in constant struggle with each other. The society was not ready to accept the mirror being shown by such courageous writers back in the 1940s-50s. And it is not ready to do the same even today in the 21st century, after seven decades of MANTO’s demise, proving him perfectly right. As a matter of fact, had MANTO been alive today, he probably would have faced much more severe allegations, court cases, character assassinations and even brutal physical assaults in the present scenario. So as the second significant introduction to the legend, here I am sharing a fictional description of the author’s meeting with the GOD post his demise, appreciably thought by Sh. Devender Satyarthi (renowned Hindi, Urdu, Punjabi writer) in 1961, six years after the death of MANTO. But before sharing it as a translation in English, would like to inform about two related aspects of Manto’s life and his writings referred in the same. “Here is buried Saadat Hassan Manto. With him are buried all untold secrets of his art of writing. The self-written epitaph should also give you an indication of how strong as a writer MANTO was. Most famous among his writings are the short stories largely written in the last few years of his life. And these stories have powerful characters that are now quoted by their names like Toba Tek Singh, Sakina, Kulwant Kaur, Ghaatan Ladki, Sultana, Bijli Pahalwan and Saugandhi. The said fictional description by Sh. Satyarthi has references of two of his most popular characters as Toba Tek Singh and Saugandhi. 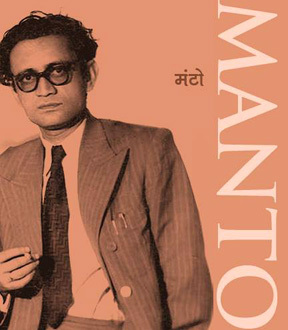 When MANTO countered The GOD! Taking the clue from his self-written epitaph, Sh. Devender Satyarthi in his thoughtful fictional account assumed that what would have been the scenario if MANTO had met GOD reaching his heavenly abode. MANTO gave his characters the age of centuries in just 42 years of his living……… with most of his famous stories getting published in only the last few years. Tags : When MANTO countered The GOD! 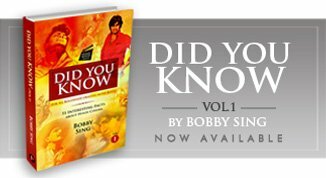 A Remembrance By Bobby Sing at bobbytalkscinema.com, Articles on Cinema by Bobby Sing, Articles on Music, Poetry and Life by Bobby Sing.